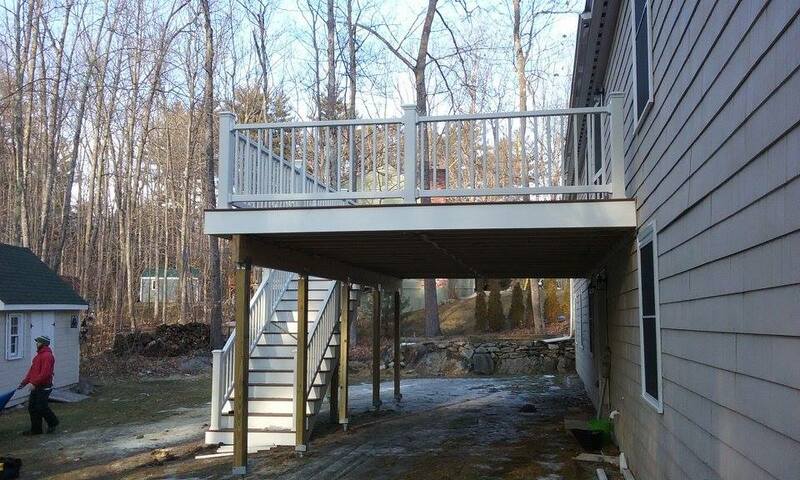 The original deck on this Lake Winnipesaukee property was aged and weathered in complete structural failure. The homeowner literally had his summer guests sign a waiver before attempting to go on the deck . Professional Building Services built a Trex Deck in Saddle with accent lights in the deck posts built on helical piles for maximum bearing strength. Our homeowner was pleased with the end result and offered to be a strong referral for us.